Discover the hidden gems of Berlin’s alternative neighborhoods on a 3-hour bike tour. 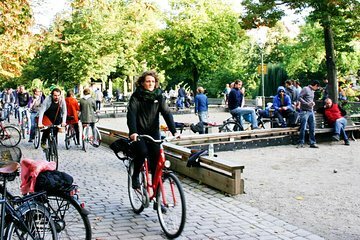 Bike along the Spree through the funky neighborhoods of Kreuzberg, Friedrichshain, Neukolln, and Treptow. See the painted walls of the East Side Gallery, check out a few clubs in “Kreuzkolln,” and learn about Berlin’s underground culture from your informative guide.